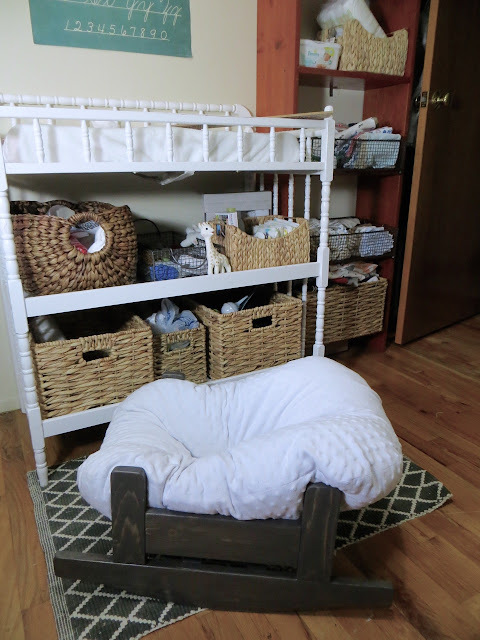 Preparing for our baby has been fun! I put a few ideas together and came up with a wooden rocker frame that has a large-contoured pillow for baby to relax in during the day in our living room. 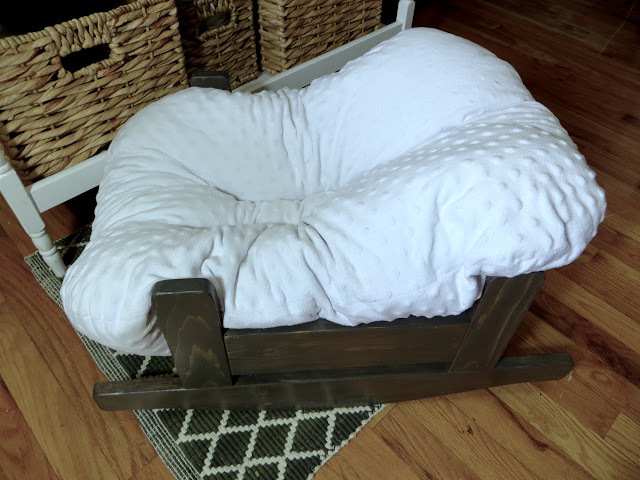 I realize this project isn’t for everyone as it involves both sewing AND woodworking but I thought it would be nice to share how I did it anyways! 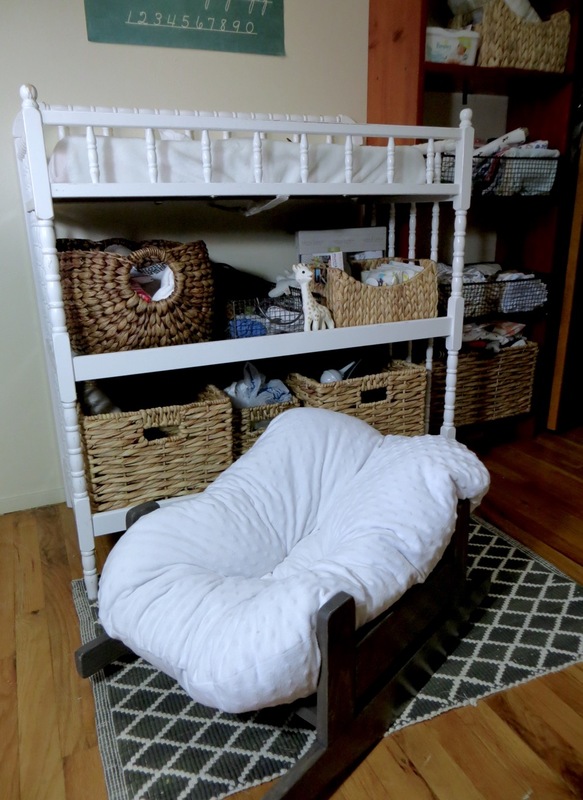 DISCLAIMER: You are responsible for the safety of your baby while in rocker. There are no safety harnesses. 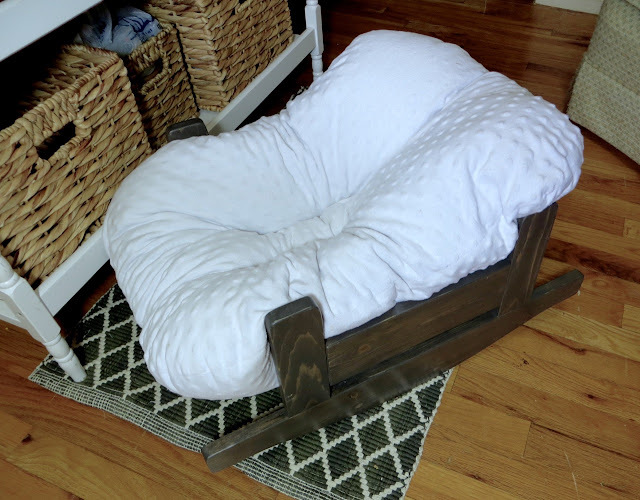 Recommended to stop using once baby can sit-up or roll over. REMEMBER: The said dimensions of a board are always smaller, but the said length is exact. So 1X4 @ 25″ is actually your 3/4″ x 3-1/2″ board and you cut it to 25″. I advise you to read through entire plan before beginning. 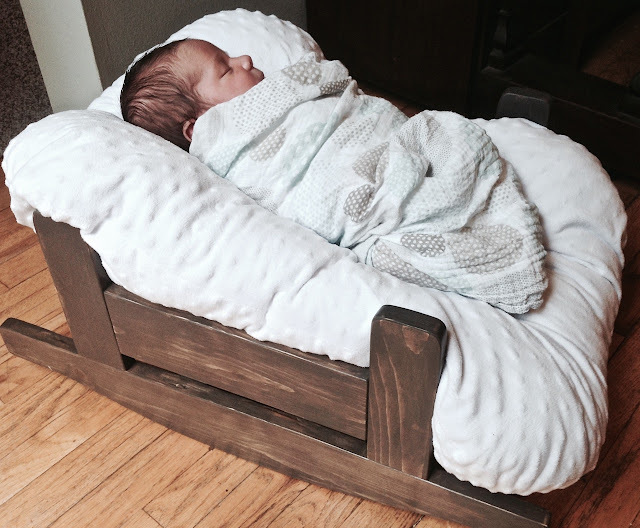 Take precautions to build safely. Always use straight boards. Work on a flat-level surface. Ask for help if you need it and have FUN! Print out template for rockers and piece all 6 pages together. Make sure print scaling is at 100% or set to “no page scaling”. Cut out. Cut board pieces out using the “cut list” above. 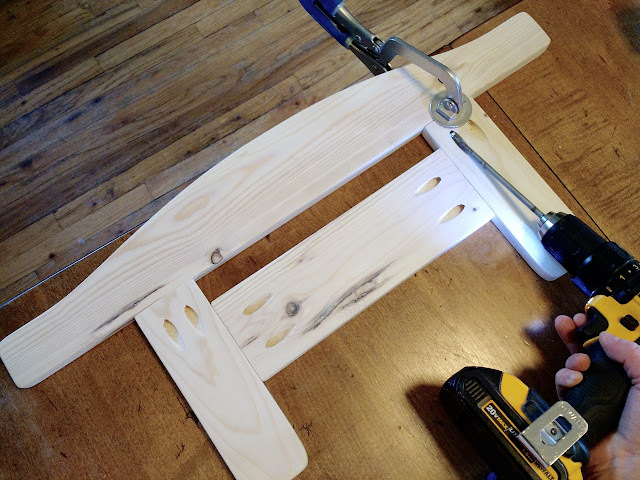 For the rockers, use template pattern to cut out shape using jigsaw or band saw. 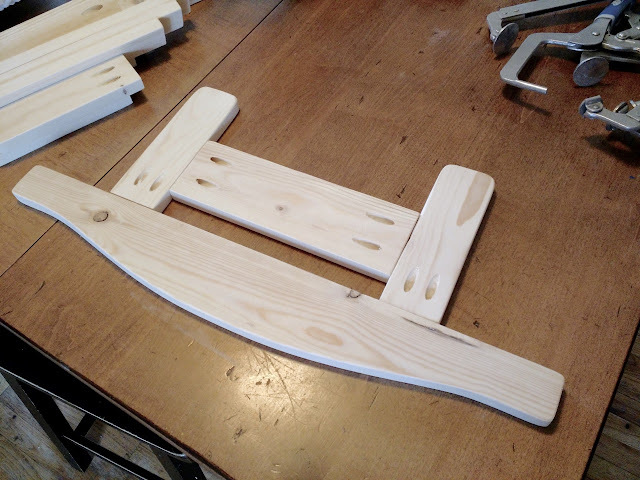 I used clamps to clamp both rockers together and sand curved edge nice and smooth (you want both pieces to match so it rocks smooth); test out how they rock on a flat surface and sand more if needed. 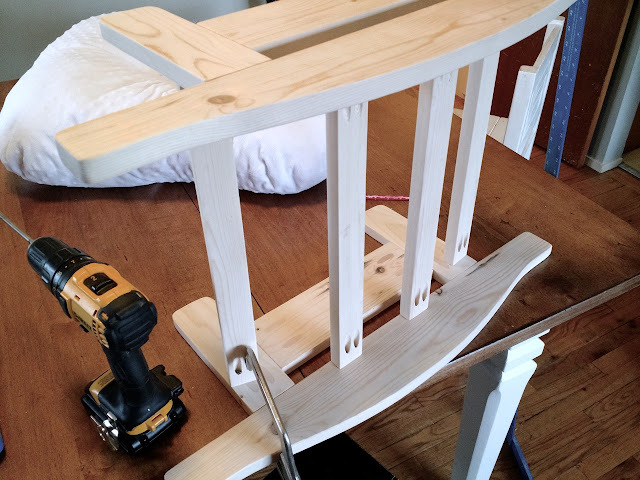 I clamped the 4 side arms together and rounded off the corners on one of the small ends (the other end stays flat for attaching to rockers). 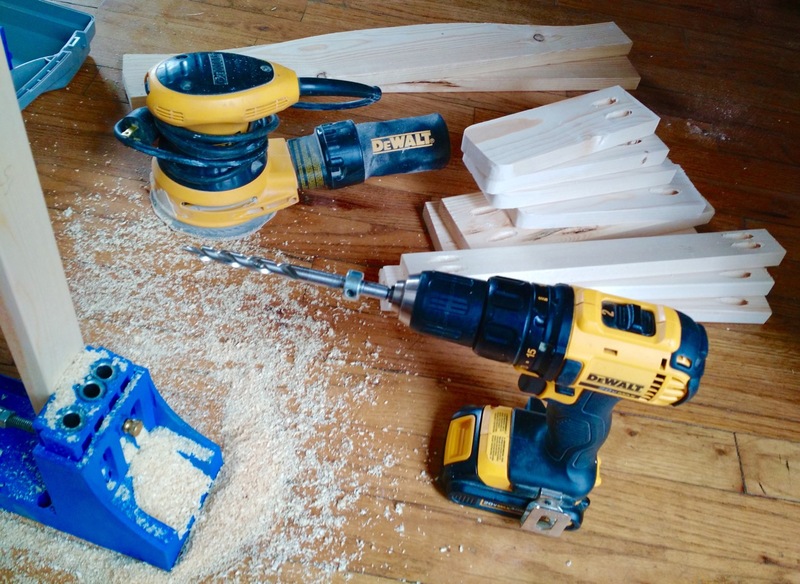 Use your Kreg Jig to drill pocket holes. See diagram below for pocket hole placement. Sand all surfaces and corners smooth. 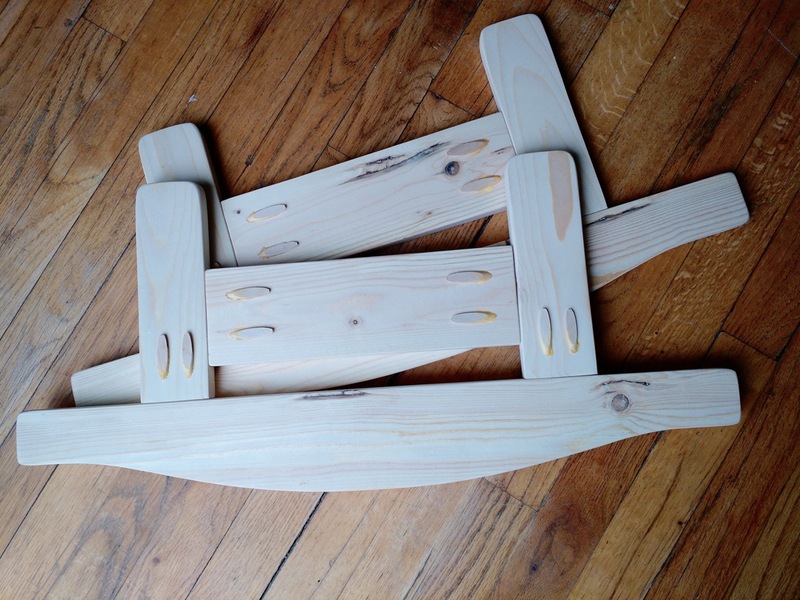 Layout your boards to make sure everything looks right before assembly. The side stretchers sit 1-1/4″ above the rockers. 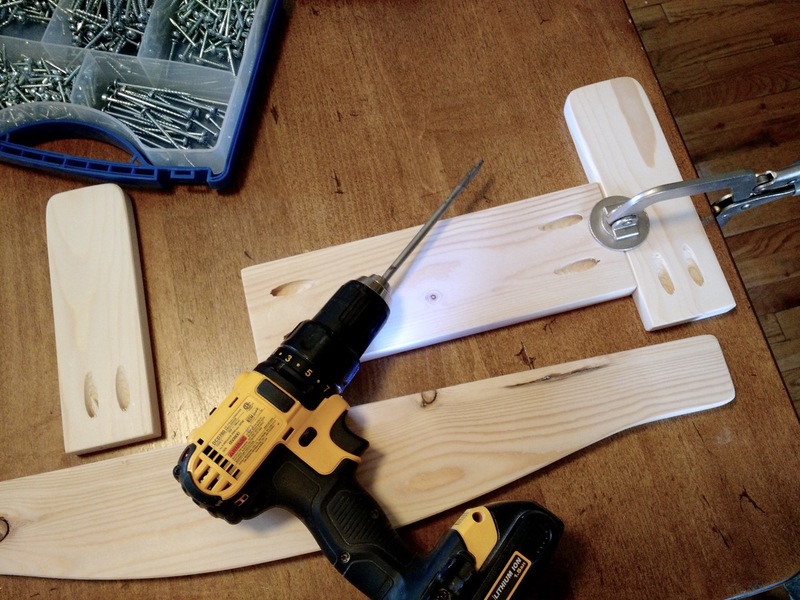 Use your Kreg clamps to clamp boards to a strong-flat surface. Screw side stretchers to side arms with your 1-1/4″ screws. 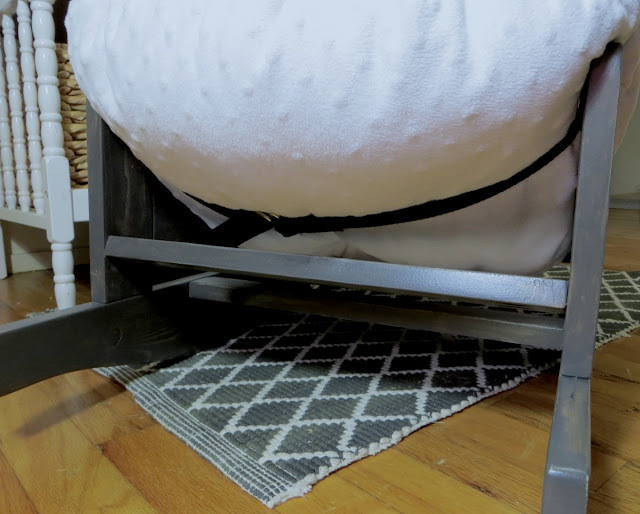 Make sure your side piece is centered over rockers and screw into place. 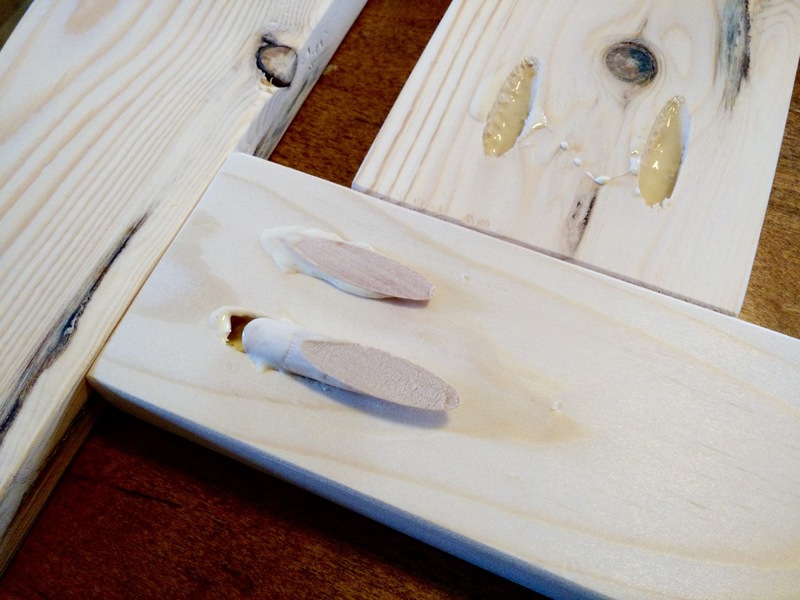 Use wood glue and pocket hole plugs to cover holes. This is what your pieces look like so far. 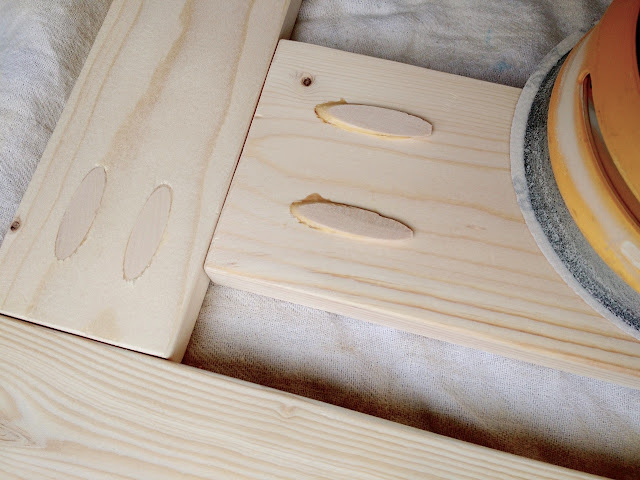 Use your orbital sander to sand plugs flush with boards. 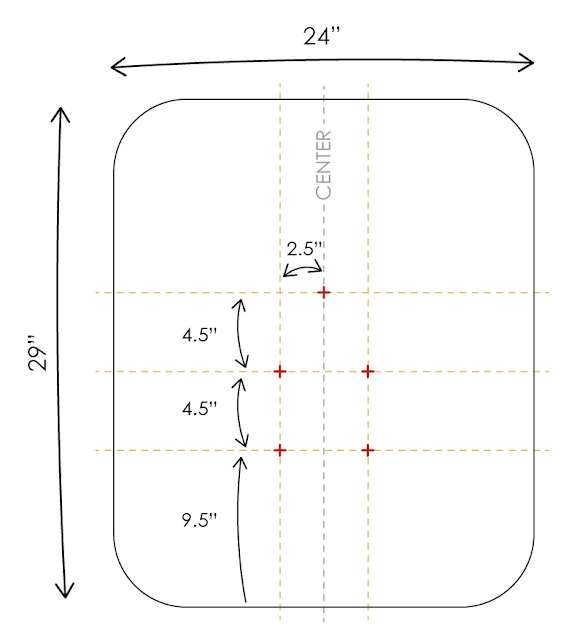 Cut out around red dotted lines of your printed template for crossbar placement. Place template over your sidepieces (whatever side you want on the inside) and mark around each rectangle for crossbars and over cross-hairs for screw placement. TIP: You want your sides to be a mirror-image of each other so flip your template over for the second side. 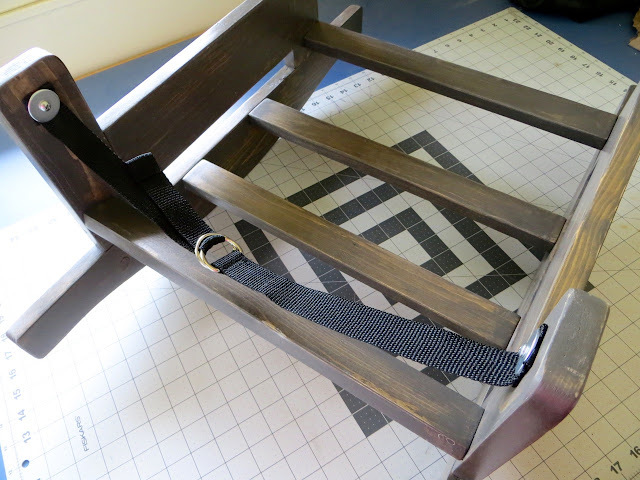 Use a Kreg clamp to clamp center crossbars over your marks on your first side. 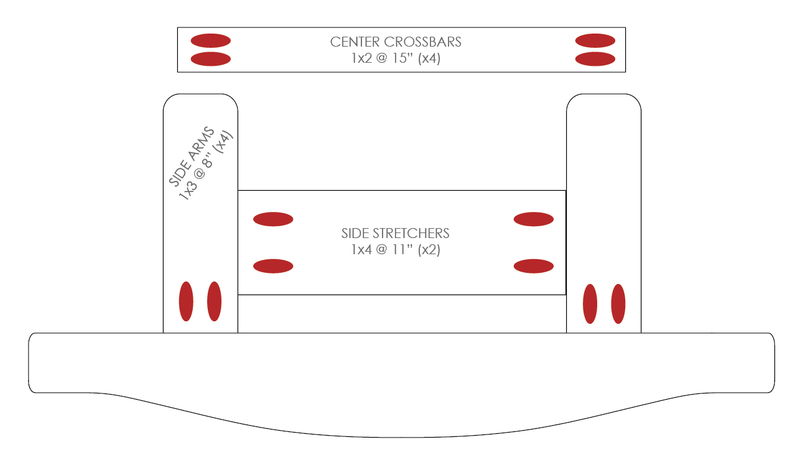 Screw all 4 crossbars to one side then onto the second side piece. Finish your wood how you wish. 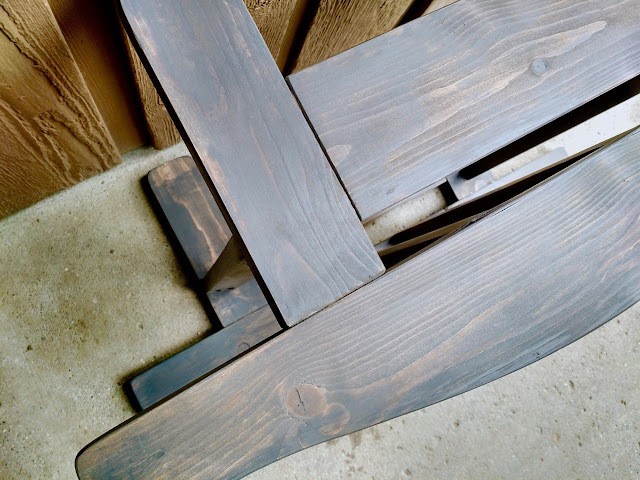 I used General Finishes stain and Ceramithane protective coat. Lightly burn ends of webbing with fire to keep from unraveling. 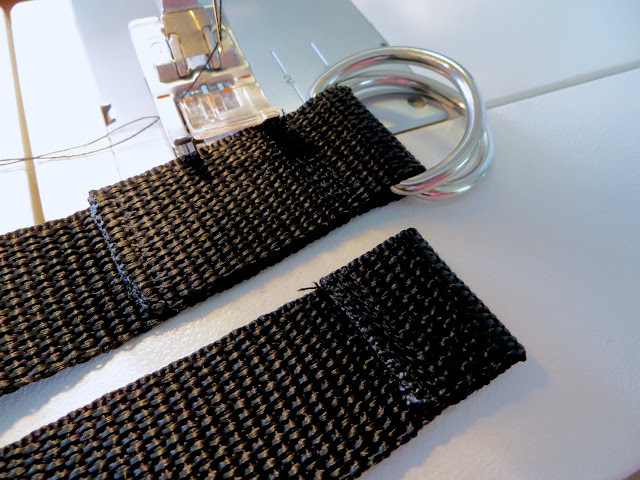 On first strap, place both d-rings over one end and overlap webbing 1-1/2″; stitch a rectangle around overlap to secure in place. 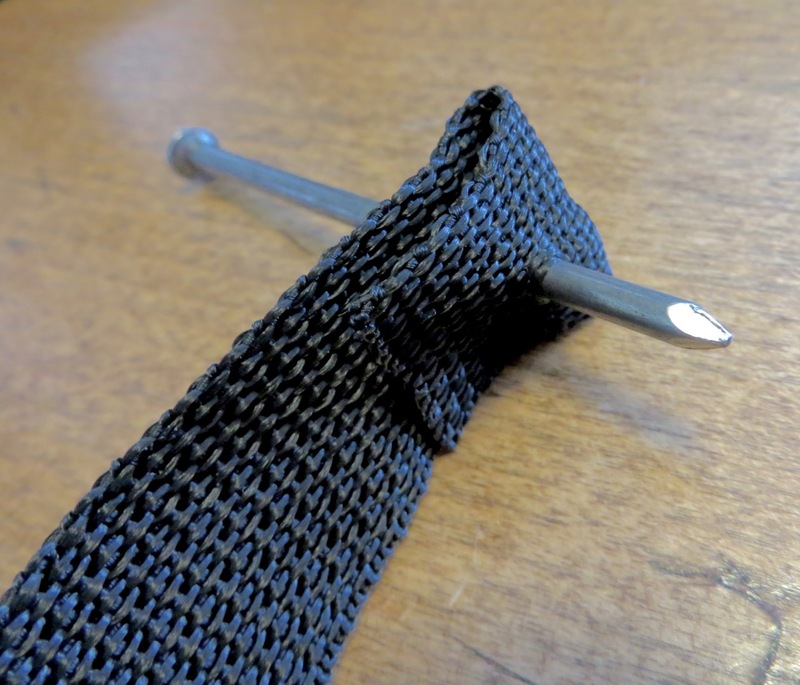 On second strap, fold one end over with a 3/4″ overlap; stitch end down. 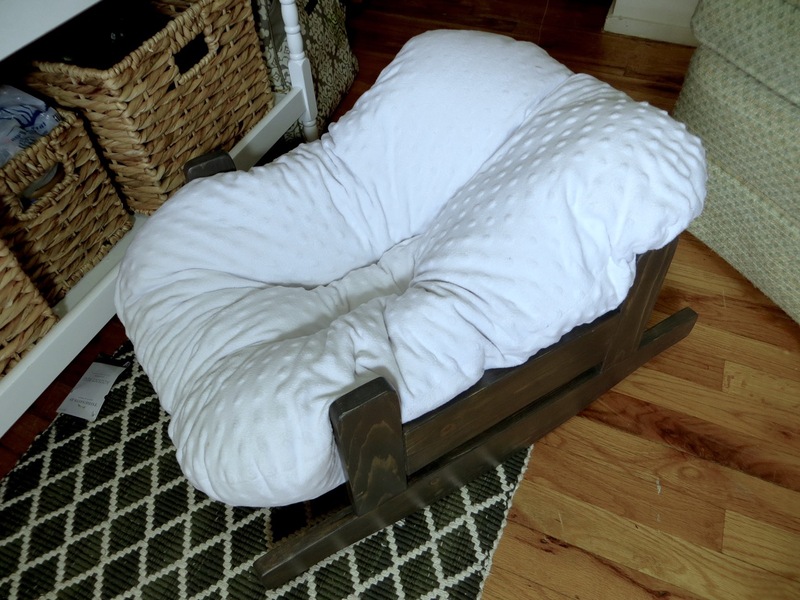 On both straps, fold over remaining end down 1″ and poke a large-hot nail through the center of the overlap to create a hole for screw (simultaneously melts opening to avoid unraveling). Pre-drill hole in wood frame over “screw placement” mark you made during the building process. 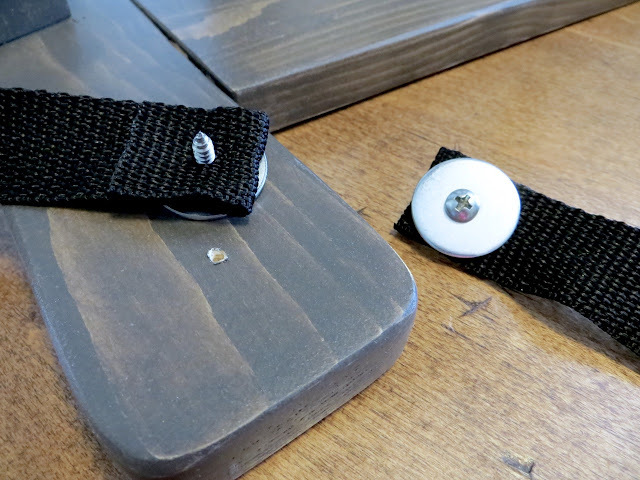 Place screws through washers and “pre-drill” through webbing hole. 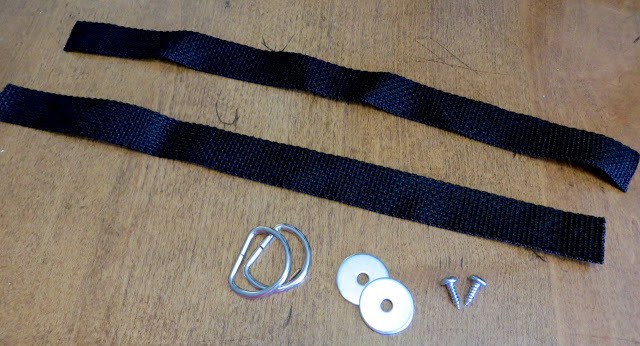 Screw straps in place and secure straps together withe free end through d-rings. Lay your minky fabric out flat; fold in-half (hamburger style) so selvage ends are together; cut down the center. 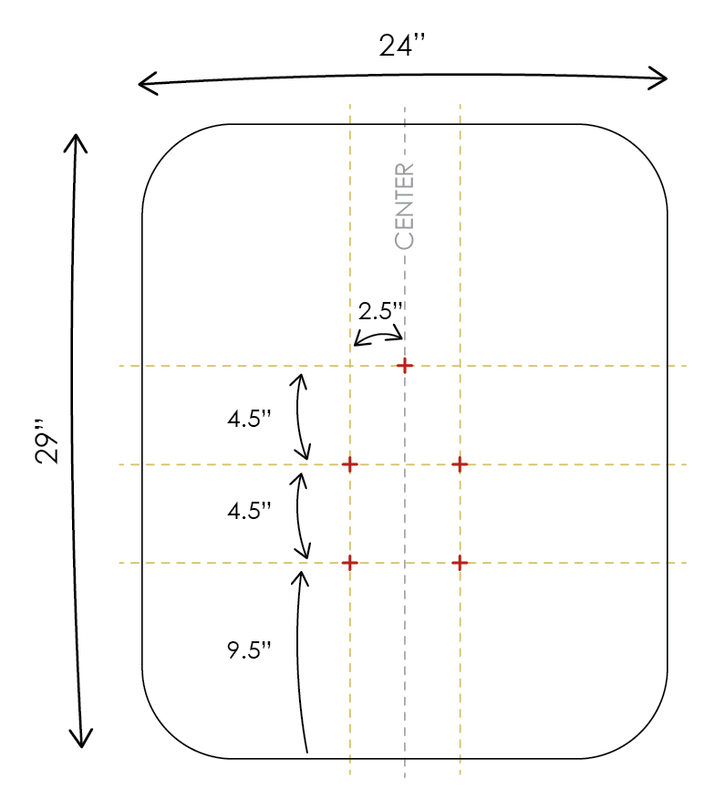 You should now have 2 rectangles that measure 24″ x 29″. To create the curved corners, use a large dish plate or other large circular object; match up with raw edges of fabric and trace curve. Cut curve. TIP: to save time, keep your fabric together from cutting center so you can cut corners of both layers at the same time. To mark fabric for puckers, follow diagram above to mark over red cross-hairs with your washable fabric marker on the right-side of fabric. 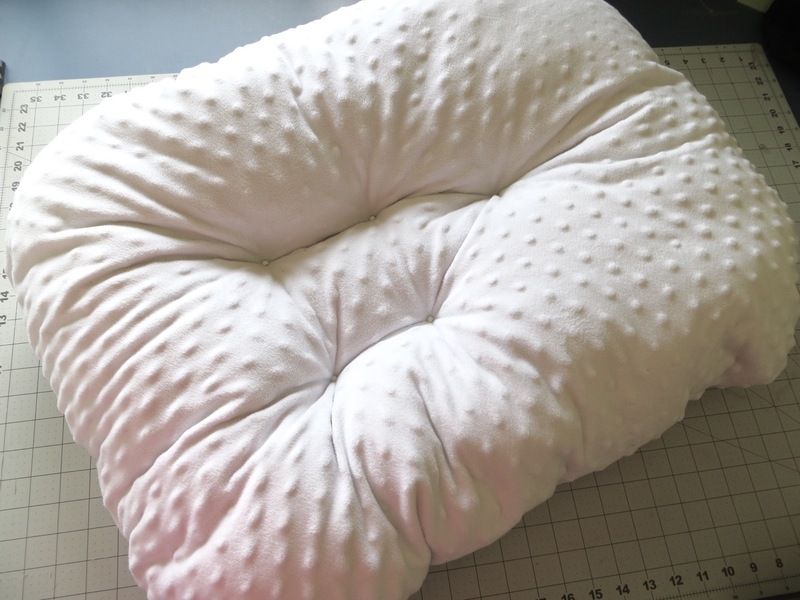 With right sides together (and marks matching), pin fabric pieces together and sew around entire pillow casing with a 1/2″ seam, leaving a 4″-wide opening on one of the long-straight sides. 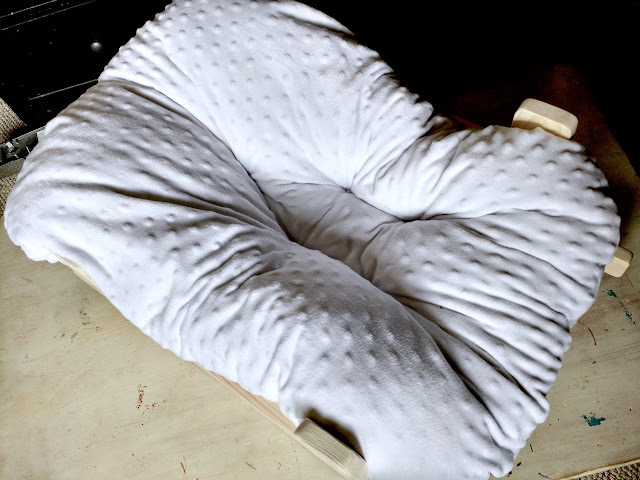 Turn pillow casing right-side out and stuff with stuffing (either packaged or from other pillows) until it is full and firm enough to cradle baby well. Sew opening closed by hand with a blind stitch. Create puckers by looping your heavy-duty thread from each front mark to corresponding mark on the back-side using an extra long sewing needle. Add a pony bead on each side to keep thread from pulling through fabric. Looping around each bead about 4 times and pull tight each time to create a nice-deep pucker. Your pillow should look like this when you’re done! Place pillow in rocker so the centered-pucker is on the end where the adjuster strap is (where baby’s head goes).